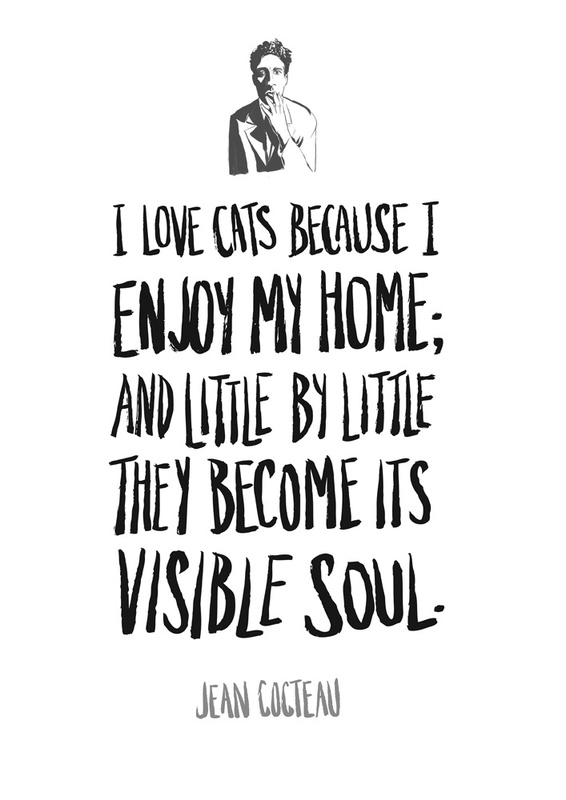 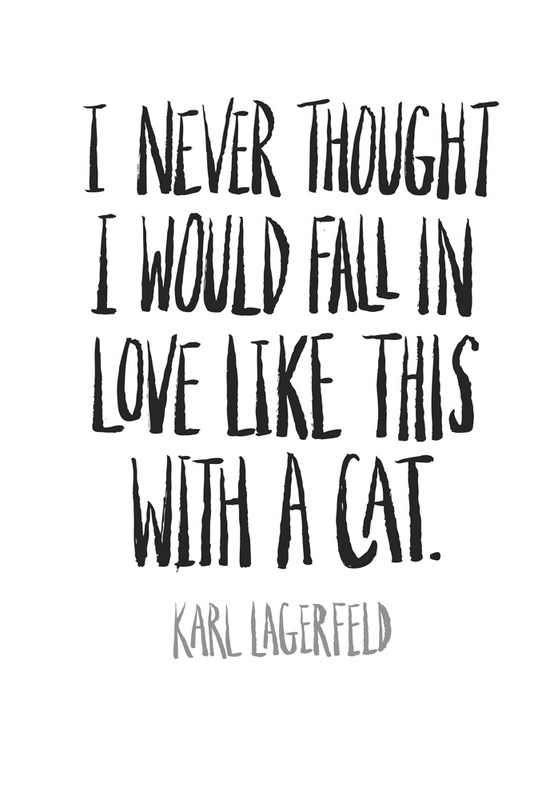 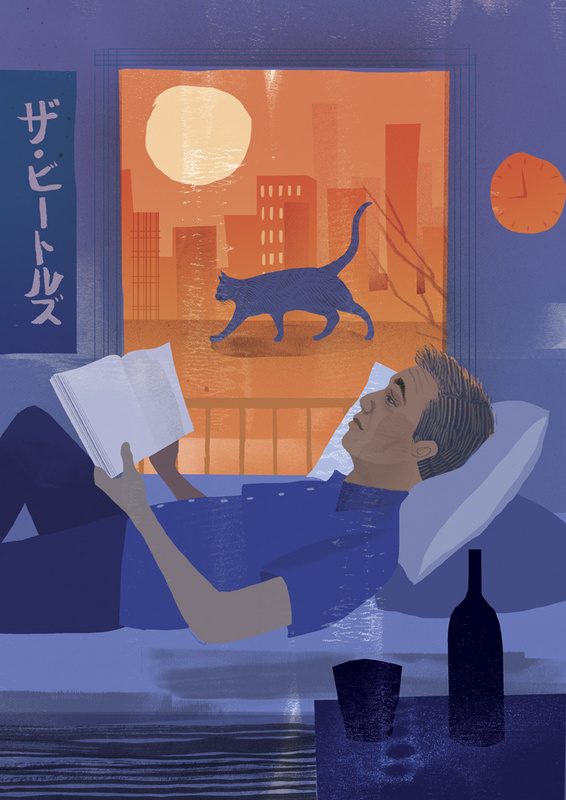 New York illustrator Sam Kalda has undertaken a project that aims to demonstrate the bond between men and cats. 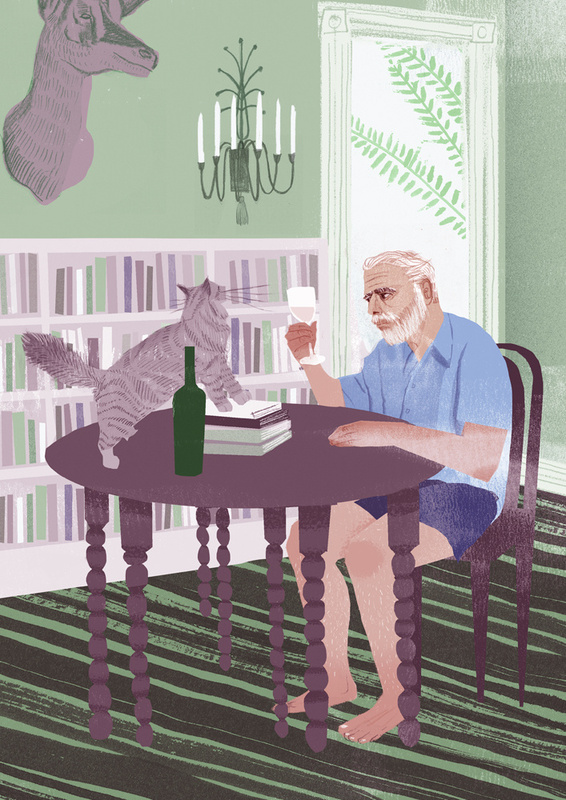 Kalda’s Men and Cats project features portraits of famous cat-lovers, such as Ernest Hemingway, Jean Cocteau and Haruki Murakami, accompanied by their feline friends. 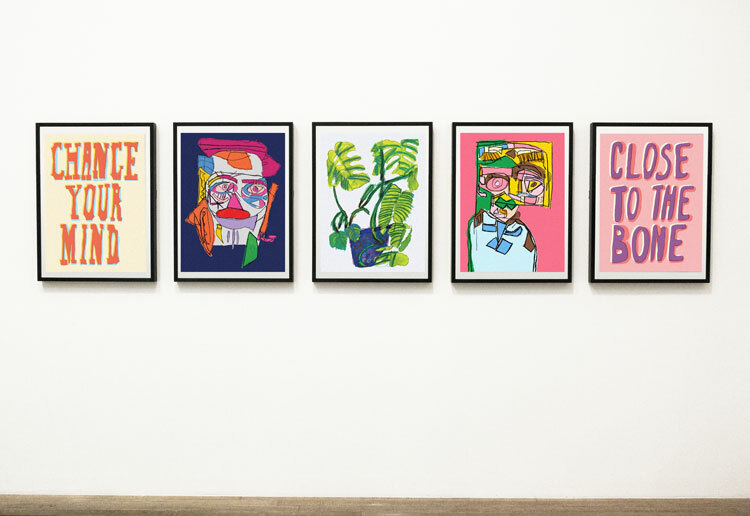 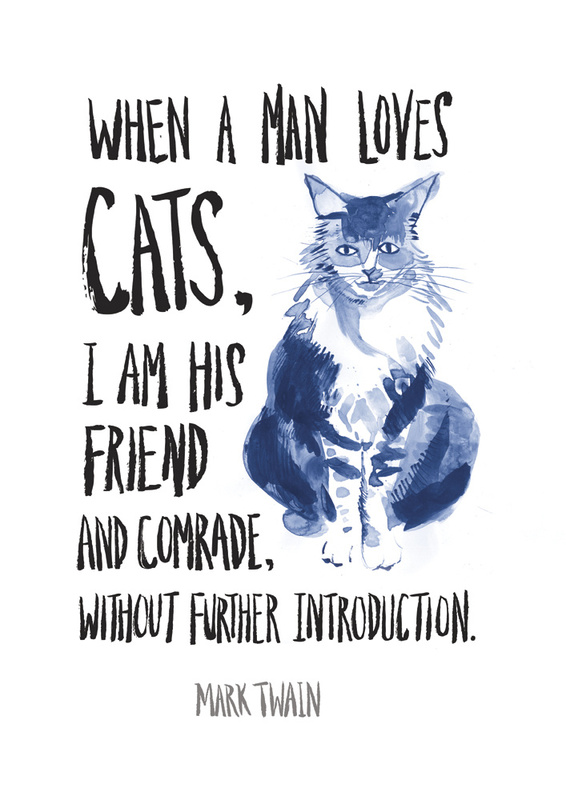 The portraits have been collected together to form a book – Men & Cats: An Illustrated History – and a series is also being displayed at New York’s Fashion Institute of Technology, where Kalda is set to graduate from the MFA Illustration course. 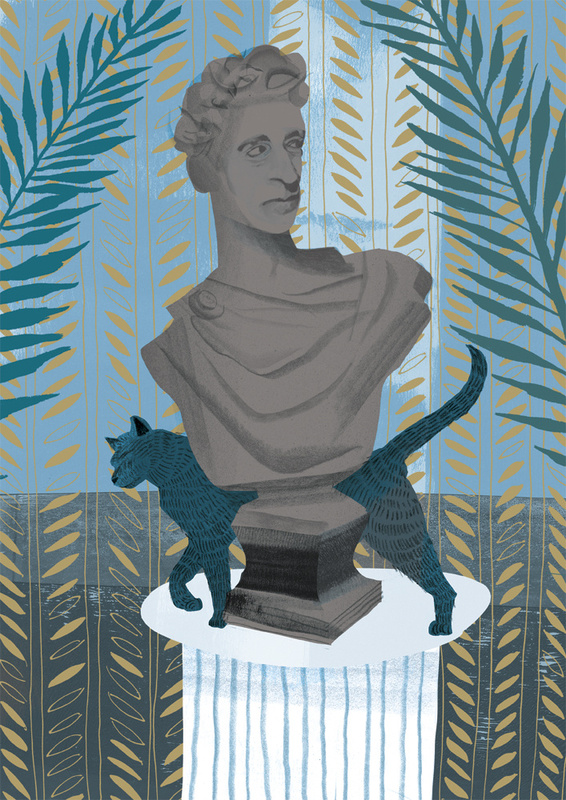 Kalda says his aim was ‘to tell the stories of the strange and brilliant cat-loving men in the arts’. 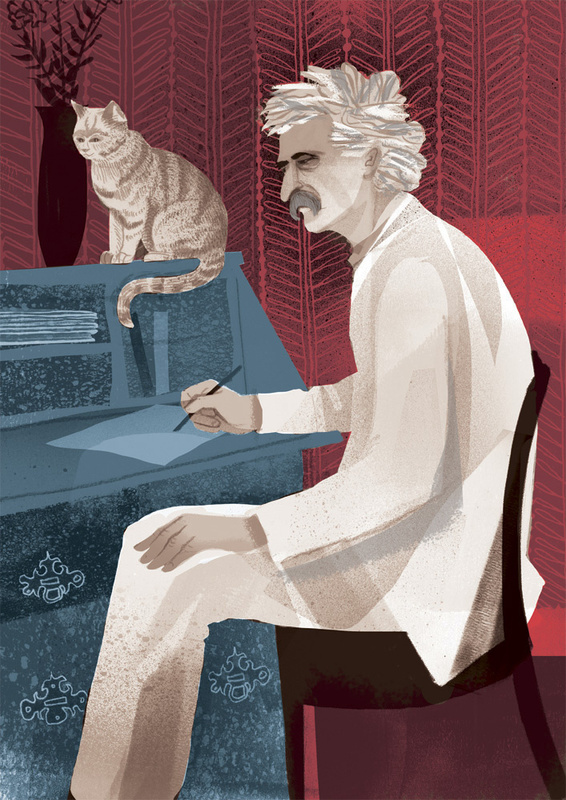 The portraits are accompanied by a series of cat-based maxims, such as Mark Twain’s, ‘When a man loves cats, I am his friend and comrade, without further introduction’. 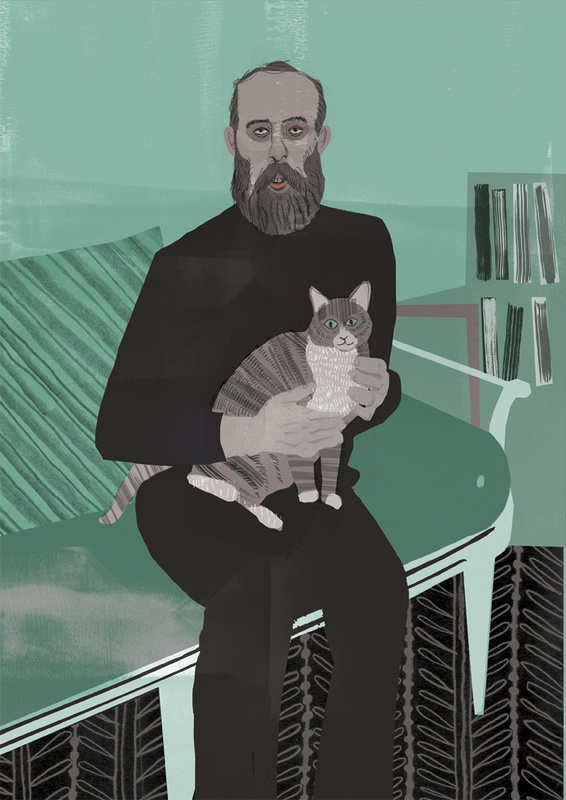 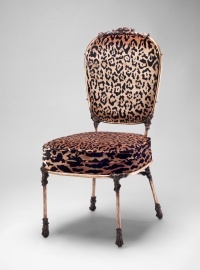 Men & Cats is on show as part of the Chroma exhibition at FIT, 27th Street and 7th Avenue, New York NY until 3 July. 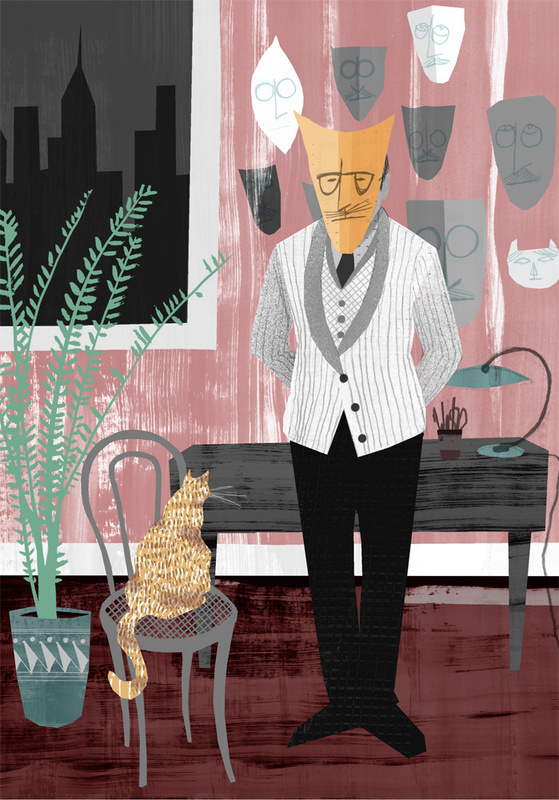 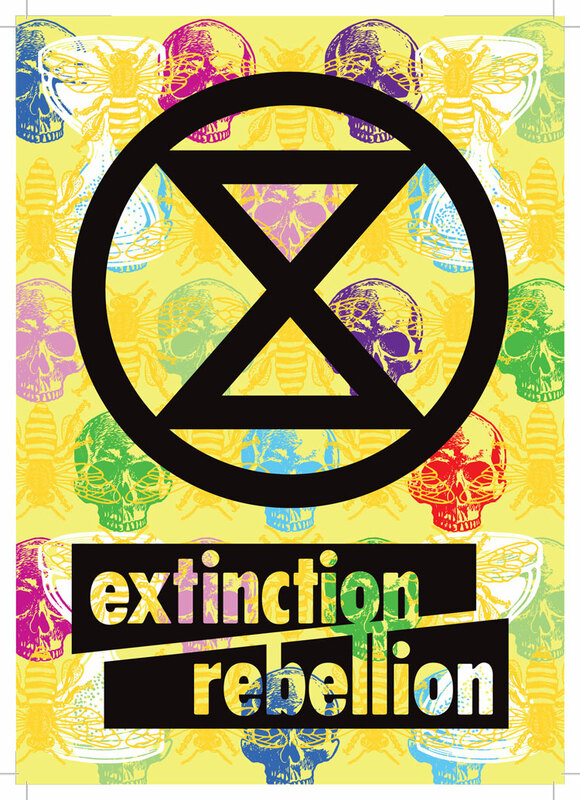 You can see more of Sam Kalda’s work at www.samkalda.com.